Make tax time a walk in the park with Smarty Accounting. 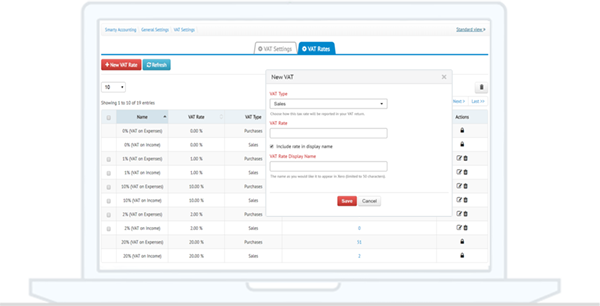 Fully HMRC compliant, Smarty Accounting automates paying VAT with a direct link to HMRC. You can ensure your quarterly filings end up with HMRC on time and with all of the relevant information. You can change when submissions are made according to your personal schedule, and can also work with several different VAT schemes, from standard and flat rate to cash-based VAT calculations, making things as flexible and scalable as possible. Furthermore, being able to keep tabs on your current VAT status and seeing how much you owe before it is time to submit a return, will keep in control of your finances, avoiding any nasty surprises. 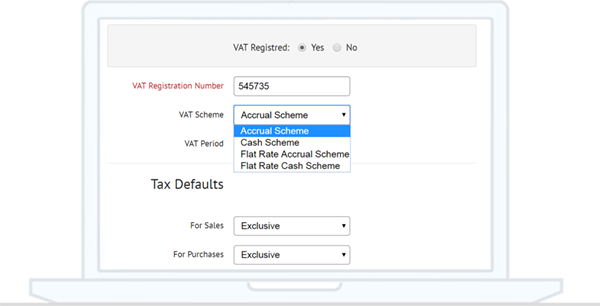 You can add a new rate to your organisation account and Smarty Accounting will automatically calculate and add taxation to each invoice based on the information you have given us. What’s more, this information will be neatly formatted so that it is easy for all recipients to understand. 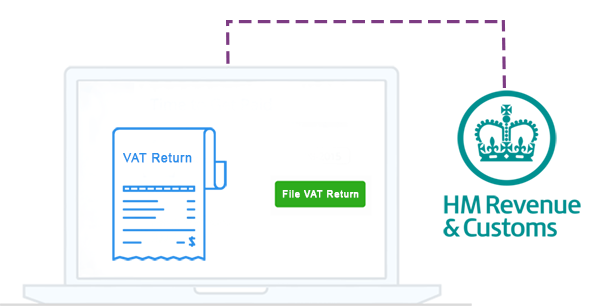 Whether you're on the standard, flat rate or cash VAT scheme, Smarty Accounting lets you generate the right return for your business. 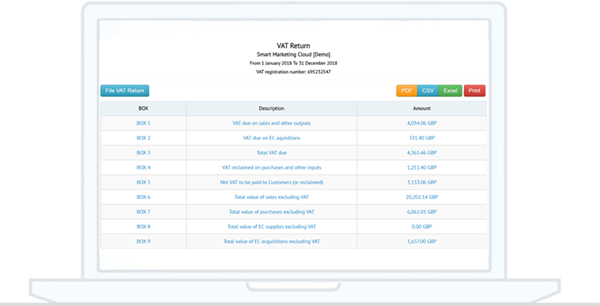 Smarty Accounting will automatically generate VAT reports based on your expenditure and invoices and present the information in easily understandable documents ready for printing or saving. Smarty Accounting is proud to be one of the companies working directly with HMRC on their Making Tax Digital implementation. This means there is no need for a professional bookkeeper or a third-party organisation. Taxes can be paid directly to HMRC within the application or from the online dashboard. 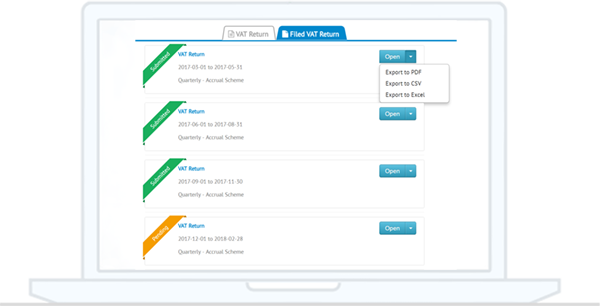 Easily access, view and compare filed VAT Return documents from the bespoke charts. Print or save these documents for a review or comparison at any time.